The 35 pages of an A4, 3 columned article by Allan Armstrong on the Covenanters are well worth reading. Allan has become quite an authority on the Covenanters and Republican United Scotsmen. For some reason he seems to think the Scottish Republican Socialist Movement supports a Jacobite Monarchy, despite many letters, discussions and publications to the contrary. He gives a good, if one sided, account of the Cameronians. He tells of how they defeated the Jacobite clansmen’s invincible charge at Dunkeld, when in fact the Highlanders did not think it worth besieging a bunch of religious Phanaticks , whilst they melted the very lead aff the burning roofs overhead to make musket balls, singing Protestant hymns ( Follow. Follow. We will follow Jesus? ). It would have been worth mentioning how they could have defeated Cromwell if they had listened to their European renowned General Leslie and not the fanatical religious Commissar meenisters who made them obligingly give up the high ground and kneel in front of Cromwell’s cannons. He does mention the Covenanter defeat at Kilsyth in passing, but does not mention the scale, which was larger than Bannockburn. Whit a guid day oot that wis. 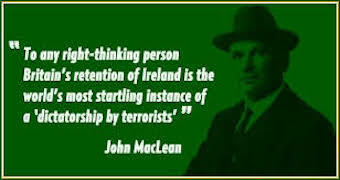 He omits to mention the racial hatred towards the Gael and how they not only murdered women and children, but also systematically destroyed clan seats holding Gaelic historical and cultural records. He makes a lot of the Lowland Covenanters, but omits to mention much on the Highland Covenanting Clans such as Ross, Munro, Campbell, MacKay, MacKenzie, etc. Although he does concede that many of these Clans fought on both sides, either by defying their chiefs, or by judicious manoeuvring to have sons on both sides and even a “neutral” to cover any event in change of Government outside the Gaeltacht. R L Stevenson does this magnificently in his Master of Ballantrae , with one dour son staying to behind to manage Durisdeer Estates and the other gay (in the epistemological sense) Jacobite to fight the redcoats. Academics like to refer to this as the Scottish Duality , where the cold winds of Lake Geneva managed to douse a few fiery Scottish hearts. RLS covers this very well in his Jeckyl and Hyde portrayal of the Scots character based allegedly on his stiff religious upbringing in Edinburgh. Interestingly enough, Allan shows his ain lang faced whiggery by referring tae ma guid sel’ as choking on my Glenmorangie at some obscure point. I will refrain from mentioning soor milk cert chantie faced descendants of today’s whiggery. 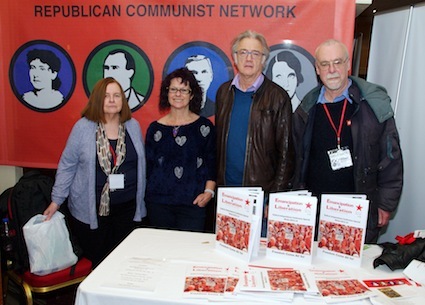 Allan’s narration of his beloved Cameronians is spoiled by his eulogy to British Nationalist and Unionist left historian , Neil Davidson: odd for a Scottish Republican Socialist. I can only comment from my own experience of being the worst Cameronian in history. As one who served in the Cameronian regiment and the Middle East and TA I did not carry a bible in my pack. Though I did think it a good idea to carry a rifle in church. The Cameronians were the only regiment granted this privilege dating back to being massacred in their conventicles in the hills and moors by the redcoated dragoons, intent in breaking up their more democratic structures and imposing Bishops and even ministers on them from above. Allan makes such a repetitive stushie about their revolution from below and not above as in the Unionist and anti Gaelic Scottish Enlightenment of Davidson’s book. One wonders why he and Neil are orchestrating academic somersaults. Allan does acknowledge that the Cameronians did ally with Jacobite forces against the Union, without mentioning that the Galloway and South West Cameronians would still have been Gaelic speakers, or that their glorious leader the Duke of Hamilton failed to turn up for the 1708 Anti Union Rebellion on the grounds of suffering from toothache. Whaur’s his Presbyterian stoicism noo? Allan does much better in his excellent publication Jacobites or Covenanters: Which Tradition a Scottish Republican debate . Pity he now chooses to ignore that publication’s contribution by Gerry Cairns and myself where we chose neither, but drew on the best of both traditions on our neglected and stolen history. Allan may boak at Jacobite songs , but the underlying trend, like the religious Cameronian sermons, often reflected deeper social, political and cultural values. Allan concludes with … The SSP is in a unique position to show the way forward in England because of our much greater political and cultural impact in Scotland. English socialists want to listen to us Donald – so dinnae be feart! Aye Allan. They sure as hell had me fooled.